Looking for a great Blue Mountain ski resort? We have found some great ones! We've also got highlights from an epic season in the Badlands Terrain Park at Blue Mountain Resort. Yes, it is known as a party place where the good folk Superpipe, ride the rails. All year round you will find a whole range of events. The largest mountain resort is in Collingwood, Ontario, Canada. Perfect for your skiing, snowboarding, spa and golfing holidays. They also have a great treetop walk. The Blue Mountains in Canada are also popular for summer activities. 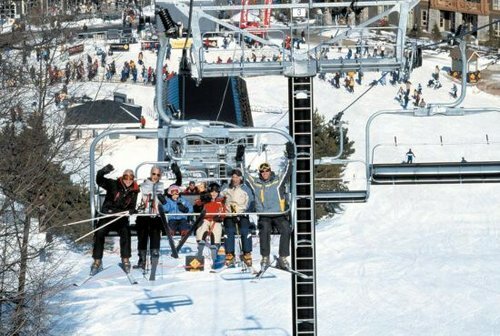 The Village on Blue Mountain is where a lot of guests like to locate themselves for their Blue Mountains Ski resort vacations. The vibe is upbeat and there is always activity happening. Whether you are hanging out by the fire, watching buskers or a visiting band , taking a carriage ride, or simply cruising the old time rock walks lined with all types of shops, restaurants you are sure to enjoy the village atmosphere. Where : On the Niagara Escarpment at Georgian Bay, near Collingwood. Used by skiers from the Toronto area it is the third-busiest ski resort in Canada. Ontario Blue Mountain Resort Village is the place to go to get in the snow in Ontario and is the centre of the activities on the mountain. The idea of the resort is to re create old style Canada where you can also enjoy fine dining. The journey which takes only a couple hours from Toronto seemingly takes you to a different world located by Georgian Bay and on the Niagara Escarpment. 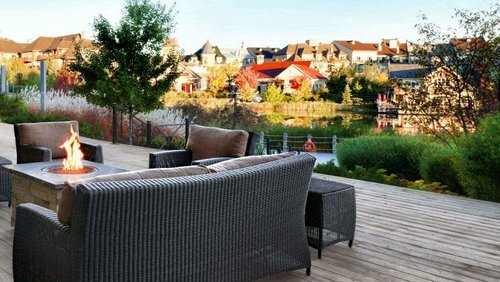 Travel tip: Collingwood has a great Scandinavian spa! It's getting great reviews! The 137 room Seasons at Blue is really about creating a village-like atmosphere. The resort fits in with the theme of the whole resort in its entirety with the old time look. Pools a hot tub and other kid friendly attractions round off a good resort option. 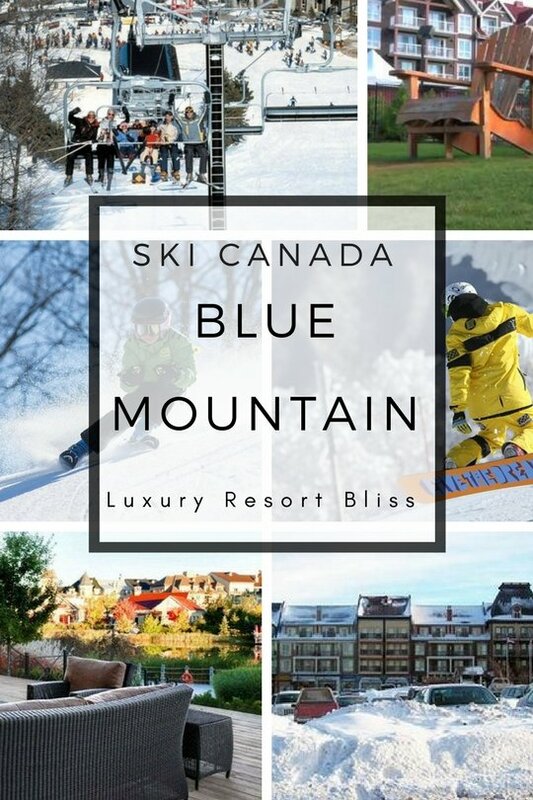 Click here for more information on Seasons at Blue - Blue Mountain Resort. This is a good family budget options located near Blue Mountain. Set on Highway 26 the resort is ideal for both summer and winter vacations. 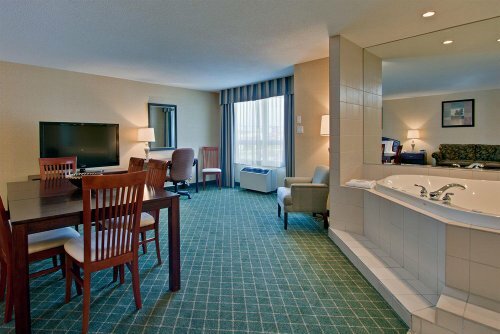 A great feature of this resort is the heated, indoor pool and hot & cold breakfasts which are included in many or most of the room rates. If you are interested in ski resorts in other parts of Canada why not check out the amazing Lake Louise Ski Resorts.